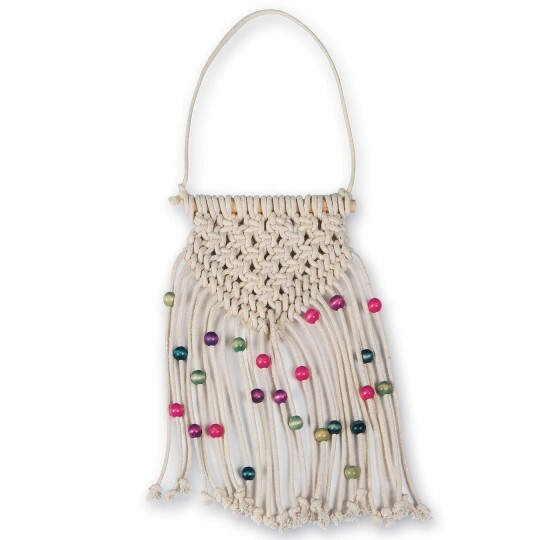 Create a pretty wall hanging! Create a pretty wall hanging! Step-by-step instructions make it easy to make this mini macramé wall hanging. 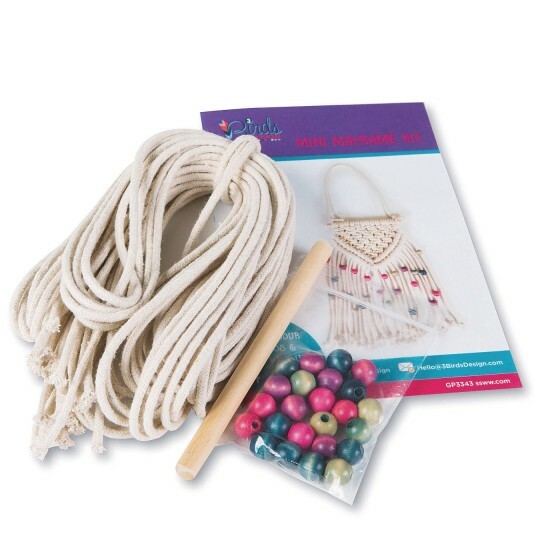 12 individually bagged projects, each includes dowel rod, cream colored cording, beads, and instructions. Finished wall hanging is approx. 5-1/2" x 8", not including hanging loop.